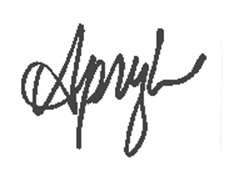 Apryl here today with the Design Team to share a quick tutorial today for making your own Christmas card using We R Memory Keepers North Pole, I Want It All Bundle from FotoBella.com. 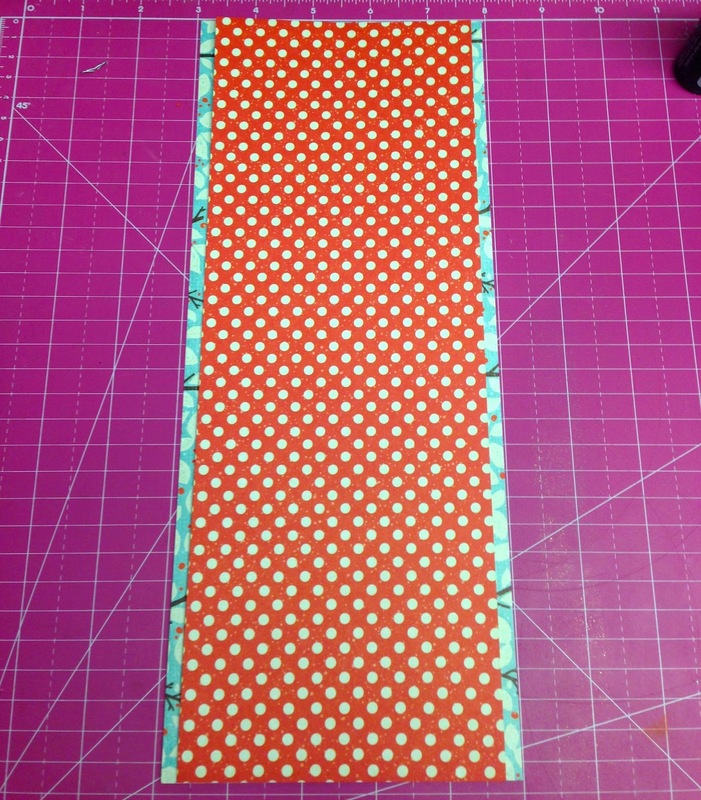 Step 1: Trim Holly Branch Paper so that it is 5 inches wide and 12 inches long. 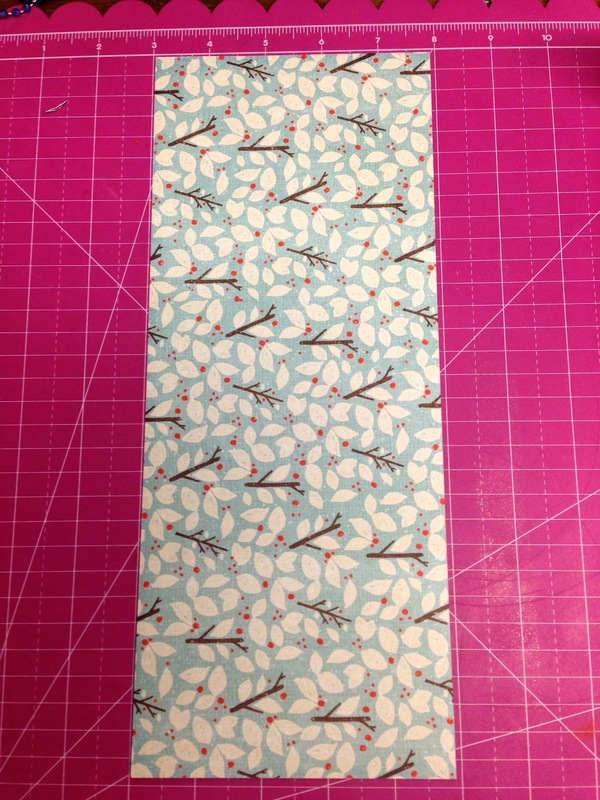 Step 2: Trim the Winter Wonderland paper slightly smaller and place in the center of the Holly Branch paper. Step 3: Ink the edges of the Holly Branch paper with Black ink. 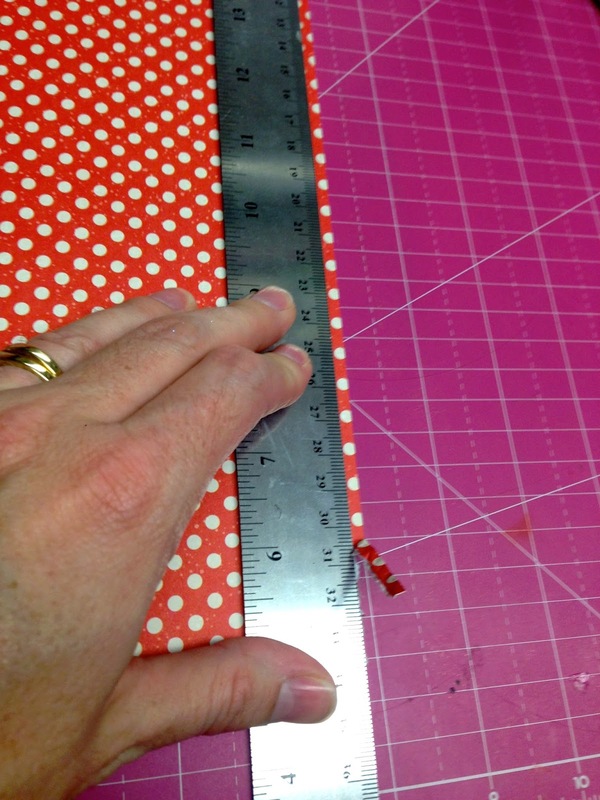 Step 4: Using a ruler, tear the edge of the Winter Wonderland paper on both sides. Step 5: Ink the torn edges with black ink. 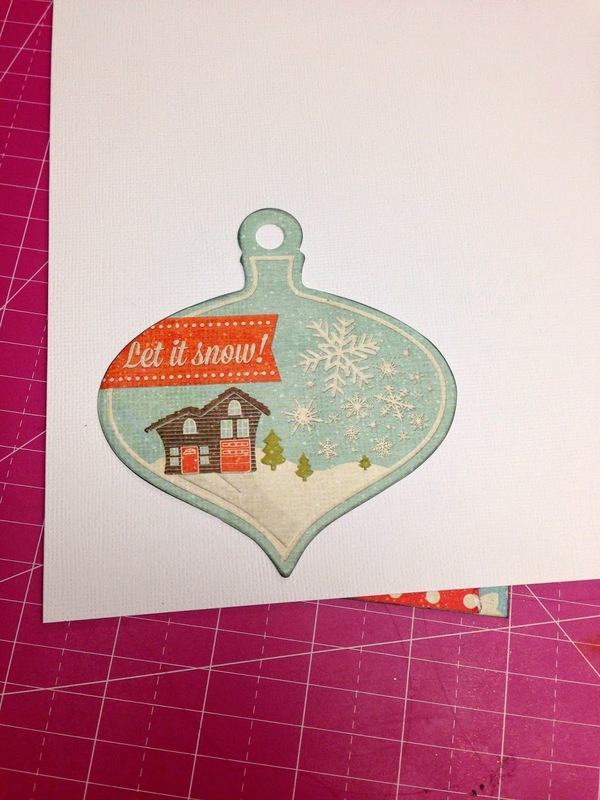 Step 6: Take the Let It Snow Ornament tag and matte it with white cardstock and fussy cut it. 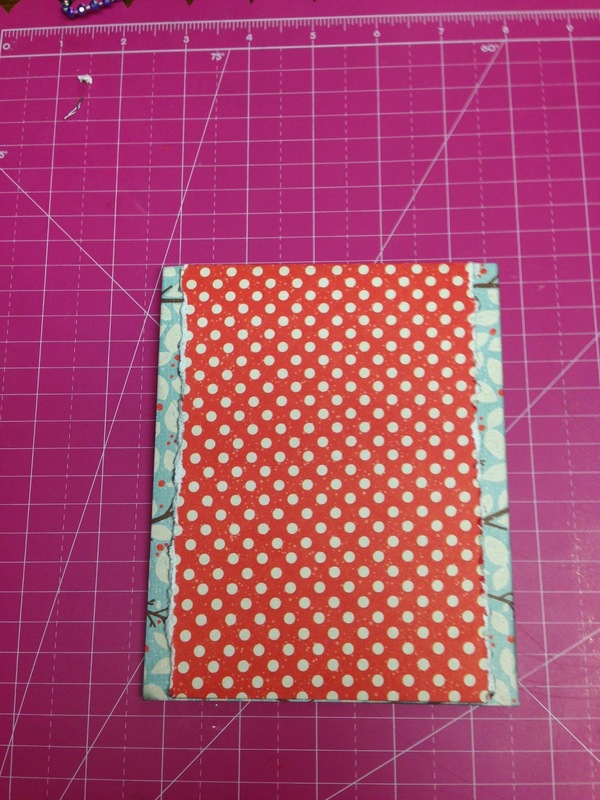 Step 7: Fold the card so that it opens from the bottom. 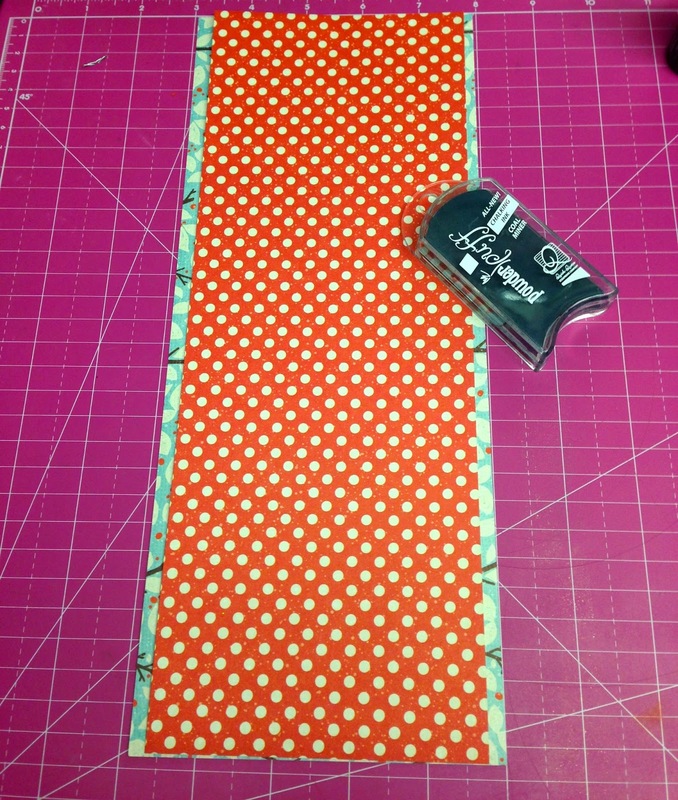 Step 8: Adhere chipboard to the back of the tag and adhere it to the center of the card. 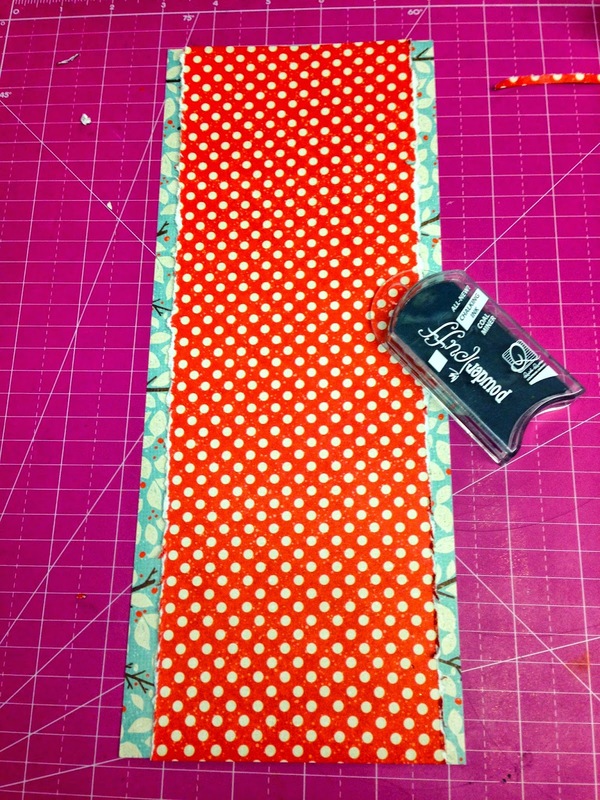 Step 9: Add ribbon to the tag and embellish with Stickles. 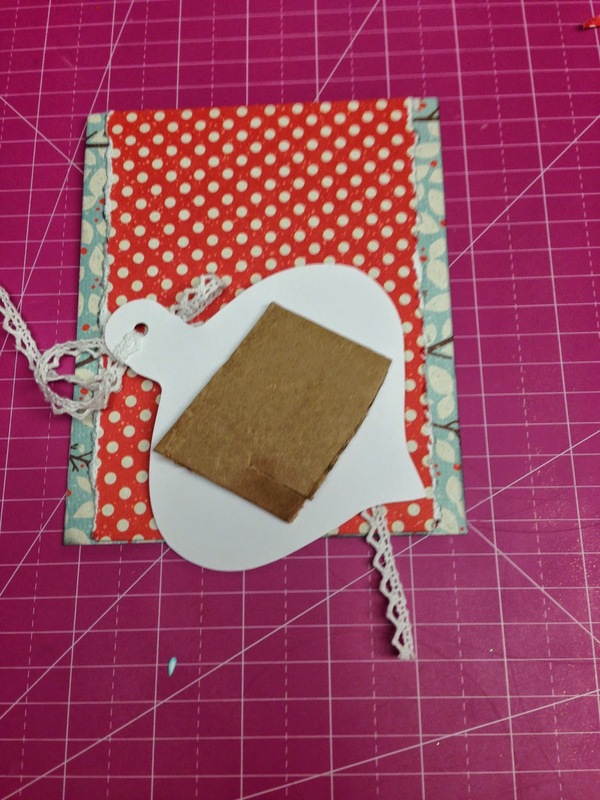 Enjoy your beautiful card and have a fabulous day! 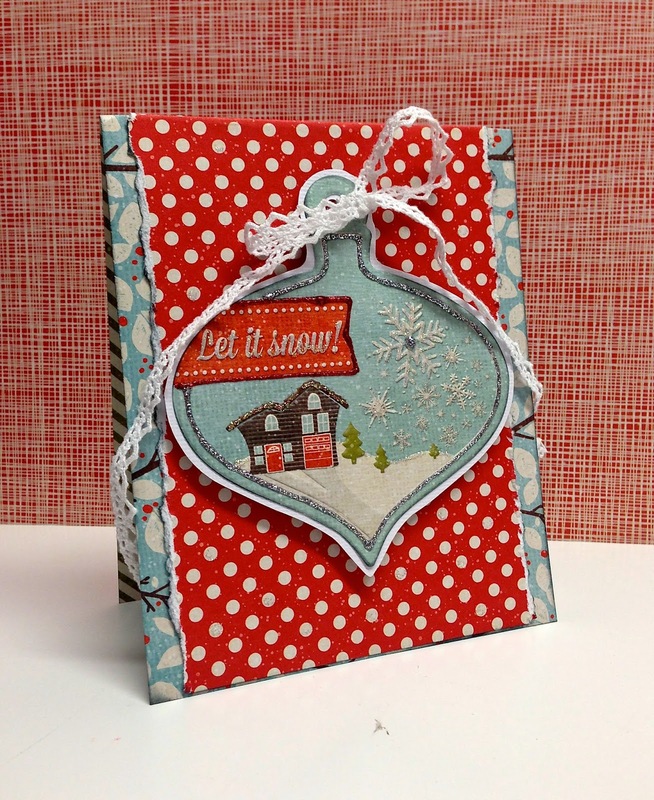 This is such a pretty card, and so quick! I absolutely love this card!